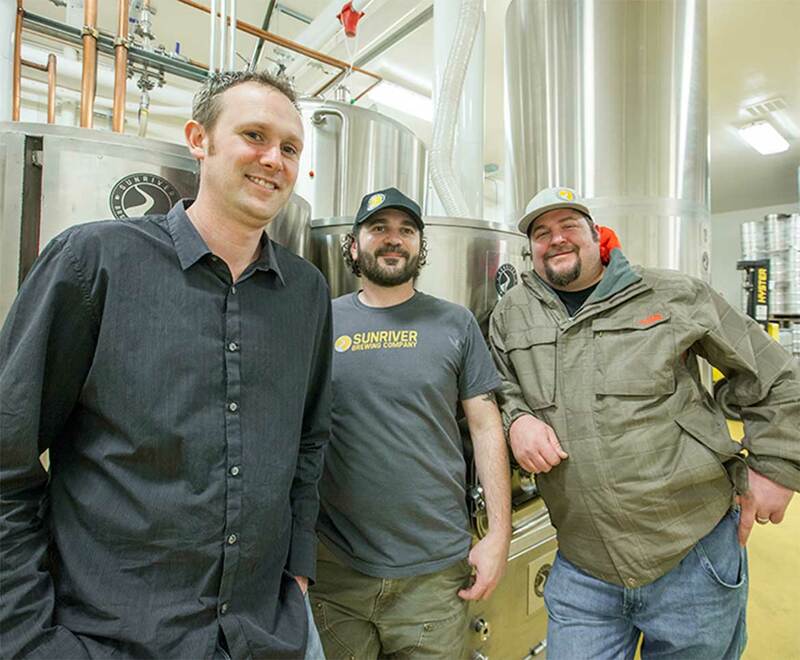 Sunriver Brewing Company launches new production facility. 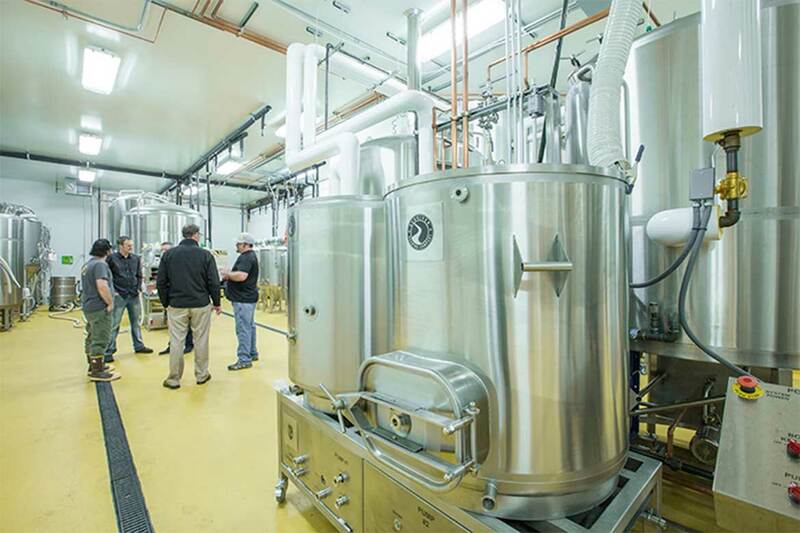 The brew is home again for Sunriver Brewing Company as its brand new full scale production facility is up and running in the resort community’s own backyard, recharging taps with an upcoming slate of in-house ales. The company’s Brewhouse restaurant in The Village at Sunriver has became a popular fixture since opening in the summer of 2012, garnering a growing reputation for handcrafted beer, exceptional locally sourced food and service in a fun atmosphere. 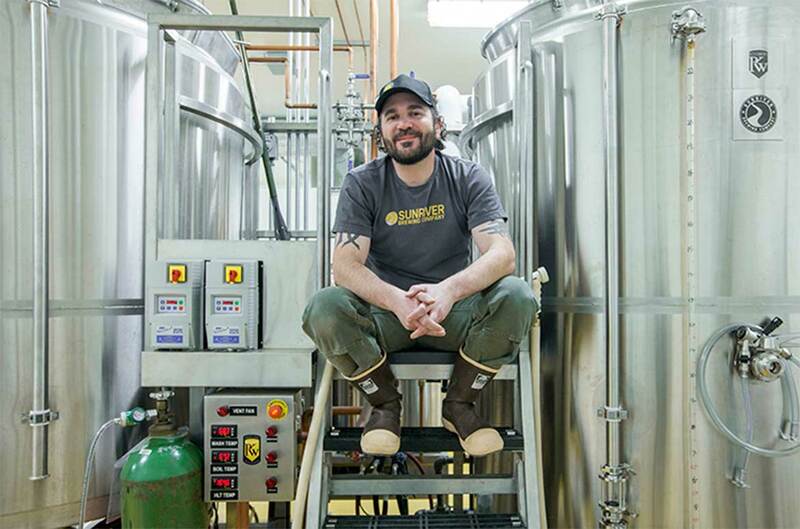 As a first step, brews were concocted off-site but co-owner Brian Cameron said the bigger vision called for a proprietary production system which has come to fruition via a 12,500 square foot revamped commercial building in Sunriver Business Park, to service both the pub and an expectant wider beer-loving market. Cameron noticed the masonry buildings on Venture Lane for sale soon after the launch of the Brewhouse, and along with his partners took the plunge to purchase the property, utilizing his extensive construction background to imagine how it could be repurposed. Since last summer, a wholesale remodel has been taking place, including ripping up the concrete slab to accommodate trench drains, installing new mechanical and plumbing systems, and adding offices and a conference room. General contractor for the project was R&H Construction, while design was led by Salem-based Lenity Architecture, which also worked on the Brewhouse and the ongoing renovation of the Village mall area. The production facility now houses an array of 30-barrel and 15-barrel fermentation and conditioning tanks, and a three-barrel experimentation set-up (dubbed the “mad scientist area” by Cameron) as part of a 15-barrel and 3-barrel brewing system. The building can also accommodate future plans for the addition of a tasting room and kitchen area, but for now the main focus is on rolling out new beer, first up being signature dark ale “Base Layer Black Ale”, to be followed by other iterations including amber, pale ale, IPA and lager, as well as seasonal ales which will also be available for distribution to the wider market. Another key part of the puzzle was the bringing on board of award-winning Head Brewer Brett Thomas, formerly with Bend’s Silver Moon Brewing, who was hired in time to provide valuable input in the construction and design process. Thomas said: “It was particularly appealing to me to be involved in a ground-up project and be a part of it from the outset. “We have also been communicating closely with the local water authority as part of wanting to be a responsible partner, and have worked with them to mitigate wastewater outflows. We have installed an equalization tank, with room for more capacity as we expand, to remove solids and for rebalancing levels before sending wastewater for treatment. Cameron added: “We researched efficiencies, and decided to go with a boiler-driven system as optimal. 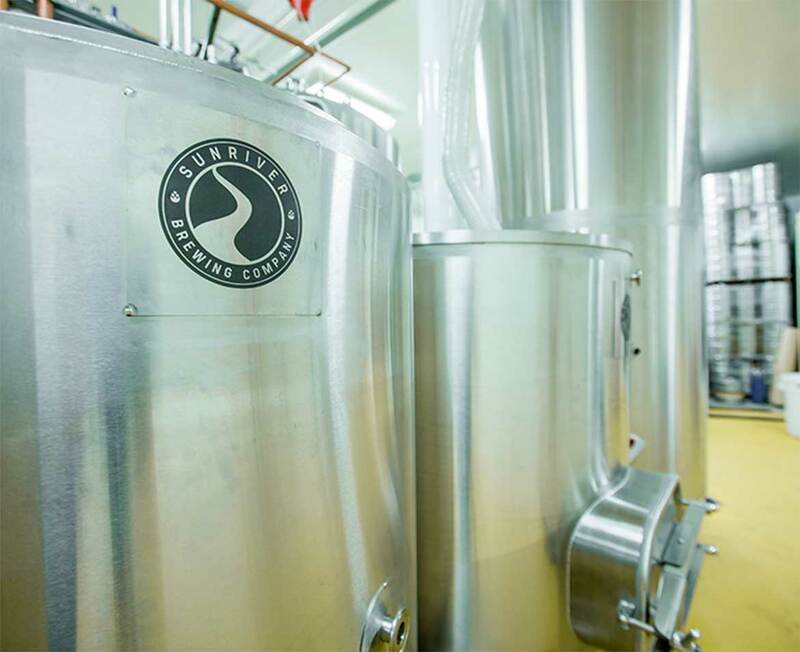 “Previously, we were brewing offsite, but developing our own production facility allows us to be more hands-on with quality. “We want to create something great in the market, and Brett is a key part of that moving forward. We will be getting the word out to the wider craft beer audience, including through entering competitions. I think we have assembled a great team, and have a lot of ideas for the future. Ryan Duley, director of sales and marketing for Sunriver Brewing Company, who also operated as General Manager of the Brewhouse until earlier this year, commented: “We are proud of the quality that we put out at the Brewhouse in terms of outstanding customer service and want to continue that with the production facility. “We know that relationships are valuable and want to play our part in the growth of craft brewing in the region, which national media such as the New York Times has likened to the evolution of California’s Napa Valley in becoming a prominent wine producing area. Thomas added that another unique factor in the evolution of the industry is that Oregon consumes more of the beer it produces than other states and maintains a proud culture of supporting local product. Project Architect Aaron Clark, of Lenity, who also assisted with Deschutes County planning department approvals and construction administration, added: “This was quite a radical overhaul of the space, including demolishing the entire concrete slab to accommodate drainage needs. “It was also interesting from an architectural standpoint to design different program areas to maximize the use of the space and incorporate the different elements, including areas for future expansion which would effectively almost double the space in readiness for the business to go to the next level. “The conference room has views of the production area so it is in the frame during meetings, and a big thrust for the design was the ability to see the brewing process from a large proportion of the space including using roll-up garage doors and developing view openings wherever feasible, so there is quite an intimate connection with the work in progress. Owner, Brian Cameron reiterated after this article was released how pleased he was with the experience of working with Lenity Architecture.